Pioneered Kembhavi Architects in 1972 and along with his wife Nalini steered the firm to be one of the best known consultancy firms of India. 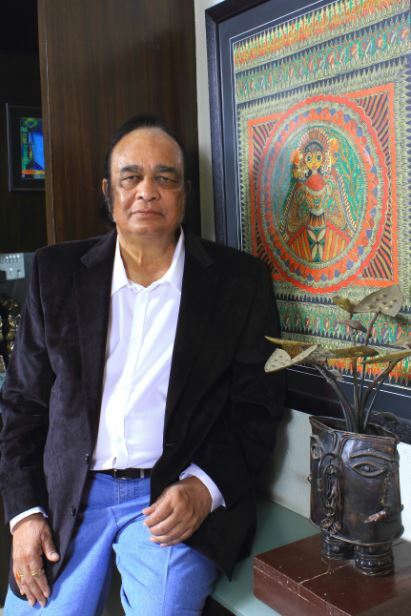 After completing B.Arch from Sir J.J. College of Architecture Mumbai, he Worked with “Chartered Architect’ Mr. D. N. Bavale on various projects including Theaters, Shopping complexes, hotels etc. After this stint the desire of acquiring new technology pulled him to the United Kingdom where he specialized in interior Design after which he worked as an associate in the firm of Willeam Olds -one of the biggest firms of the United kingdom, where as a design-team leader he was responsible for winning the two major competitions i.e. “the Bee Hive chain of hotels” and “Casa Mila housings” worth two million pounds. He was also involved majorly in pre-fab technology for construction. After he returned from the UK his firm has won a lot of laurels and acclaim from clients, peers, public and the Govt. His ideology personifies contemporary thought and re-invention in the specter of design and as well as profession. He has been academically active and was involved with the establishment and building up of the department of architecture in B.V.B college of engineering and technology Hubli and also and has chaired various academic committees and is an expert professor to various institutions.